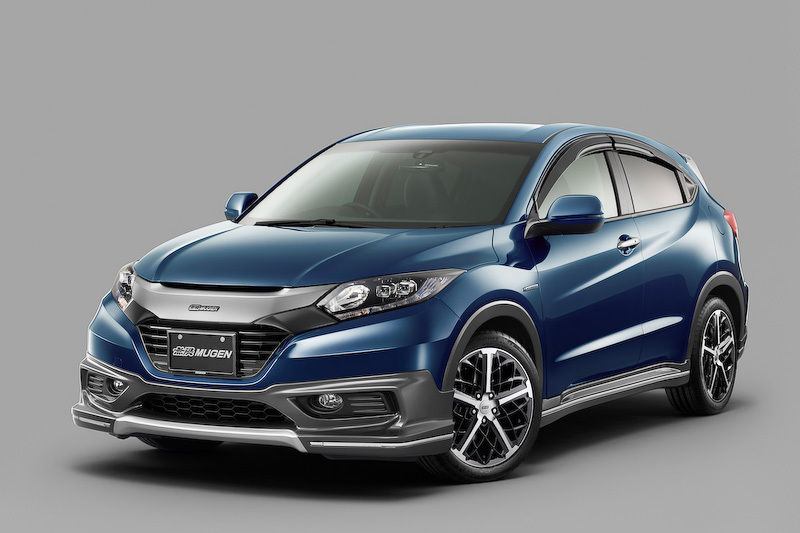 Honda's official tuning division have given the Vezel SUV their trademark treatment. The Jazz-based crossover gets a unique bodykit comprising of contrasting side skirts and spoilers finished off with upgraded 18" alloy wheels and dual exhaust pipes. Other changes include suspension and brake upgrades and interior modification parts. No word yet if these upgrades will be offered here on the UK.